The story you are about to hear is true. The names have not been changed to protect the guilty. This book may have the effect of changing your life. 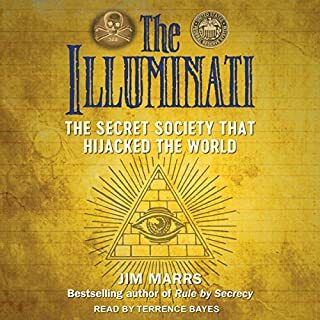 After listening to this book, you will never look at national and world events in the same way. 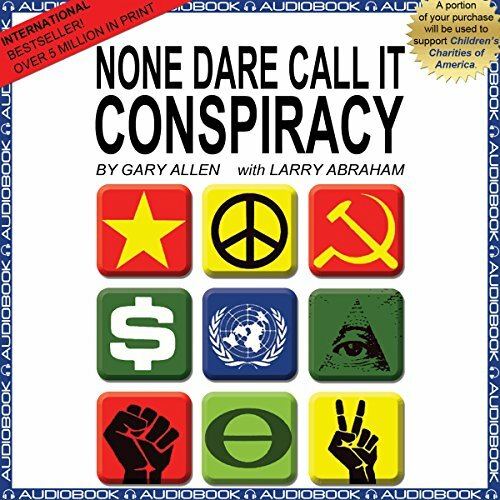 None Dare Call It Conspiracy will be a very controversial book. At first, it will receive little publicity, and those whose plans are exposed in it will try to kill it by the silent treatment. For reasons that become obvious as you listen to this book, it will not be reviewed in all the "proper" places or be available on your local book stand. However, there is nothing these people can do to stop a grassroots book distributing system. Eventually it will be necessary for the people and organizations named in this book to try to blunt its effect by attacking it or the author. They have a tremendous vested interest in keeping you from discovering what they are doing. And they have the big guns of the mass media at their disposal to fire the barrages at None Dare Call It Conspiracy. By sheer volume, the "experts" will try to ridicule you out of investigating for yourself as to whether or not the information in this book is true. They will ignore the fact that the author admits that some of his ideas are about to conjecture because the people who know the truth are not about to confess. They will find a typographical error or argue some point that is open to debate. If necessary, they will lie in order to protect themselves by smearing this book. Psychologically, many people would prefer to believe those who pooh-pooh the information herein, because we all like to ignore bad news. We do so at our own peril! 40 years later and the observant reader can see that things are moving along AS PLANNED. The rule is "incrementalism", so the march toward global totalitarianism is slow, but progressing. One of tthe most interesting things in this book was the short but revealing account of Richard Nixons career-long work to bring about global governance while presenting himself as a defender of the U.S. Constitution. This is the model followed by George H.W. Bush, Ted Cruz, Marco Rubio and other Neo-Cons. Let us pray that Donald Trump is not following this blueprint. Every one needs to read this book. Every one needs to read this book. 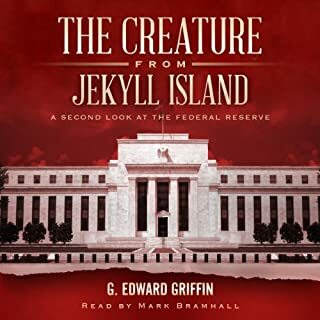 And if they like it and want a more recent and in depth version of this book, pick up The Creature From Jekyll Island. This book could have been written yesterday based on what is happening now. But the authors wrote it in 1972. Wished more had listened to the incredible history and even more startling insight that these authors had to offer. Praying that the prediction if not enough is done by 1976 it will be too late for America as we know and love it. Goodness grief, it is 2016 and we are where the authors feared we would be in 1972. Time to listen to this book with ears and hearts and minds wide open. Are we sheep or are we men and women still able to think and reason on our own - before it is too late. If it's not too late already. Even if read as a skeptic, even if you give the Author only 10% on credibility,...BOTH are still enough to scare the crap out out of you. 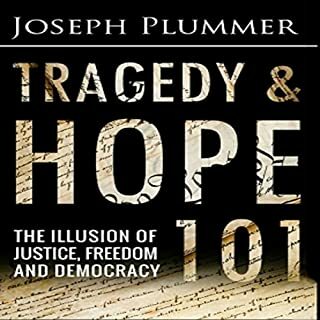 If you hadn't lowered your blinders to what has been going on in the world and our country, this book will be a great start. I can't think of a more important book to read! When this book was written, more than 40 years ago, you might not have believed it at the time. Now in the 21st century, no one could doubt it's veracity. Read it. Fight against Globalism! This book does a very good job at outlining the historical details, and people, who have pushed public policy toward a global government. I read this book because President Kimball recommended it durring conference of 72. I will have to re-read it again to make sure I understand well. please read this book. We are Americans, not slaves. love it well written and presented. please check it out for your self. Educate yourselves. Wow! 45 years later and it's still very relevant. A Must Read. 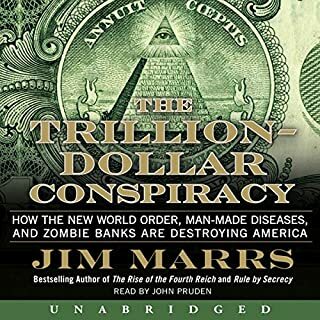 Originally published in 1971, this must read book breaks down the groundwork put in place by the global elites in their bid to take over the world. It is especially interesting given the events the events that have taken place over the last 45 years. 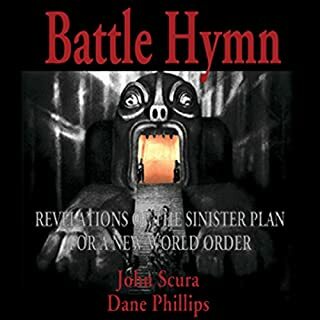 This is reportedly the book that opened "awoke" Alex Jones from Infowars. This should be compulsory reading in any secondary education system, though ironically for reasons this book will detail, that will never happen. You can ignore the truth but you cannot ignore the consequences of ignoring the truth. Empower yourself and wake everyone up! false propaganda and information on communism. does not understand socialism at all. i feel bad for the paranoid writer. woeful plot device etc. 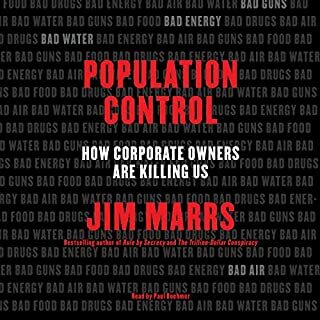 A great book that has endured the test of time and has much teach contemporary voters who are so distracted by minor and trivial issues that the (bought) mainstream media have been pushing. 2016 give some hope for the future, Brexit, and two American political dynasties, Bush and Clinton's exposed and defeated. All the best for President Trump and may he effect some serious changes and successes in the coming years. People and politicians need to seriously wake up. This is real and action needs to be taken now before the elites complete the entrapment. Do not be fooled by so called Free Trade Agreements. Don't just read the title. Read the whole text. Good luck. Recommended. Although needs to be read twice. Maybe even 3 times to let it sink in.